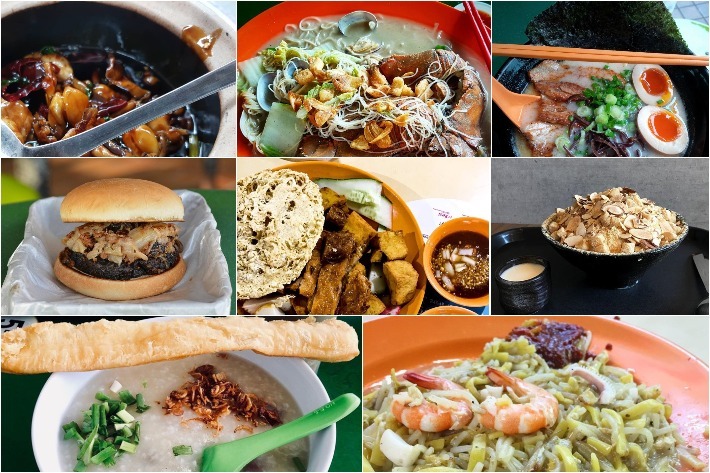 Thanks to the downtown line, it is easier for us to explore other parts of Singapore in search of hidden food gems. 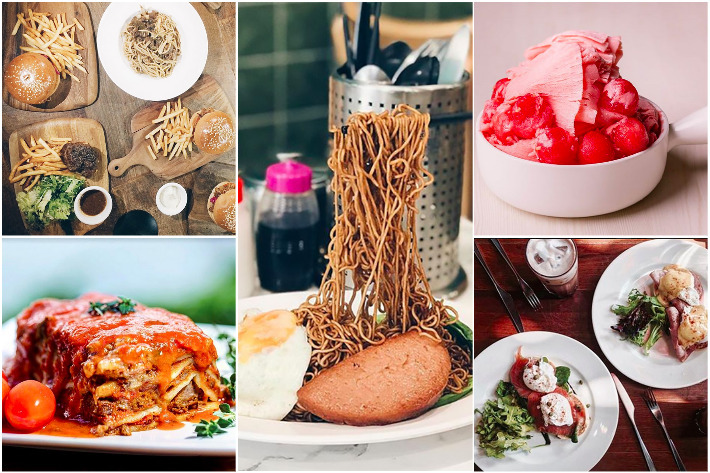 And when it comes to hidden gems in Singapore, who can deny that Beauty World is amongst the top of most foodies’ lists? A secret food haven brimming with cosy cafes and eateries that serve tasty, affordable nosh, this enclave has it all. 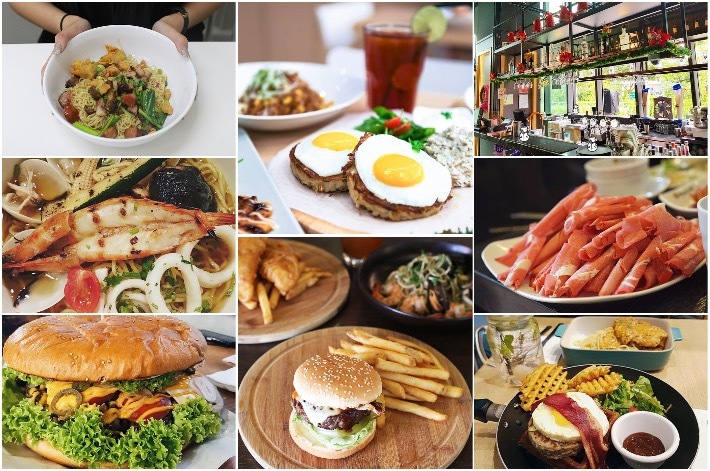 We have here a list of 16 great places that sell mouth-watering food. 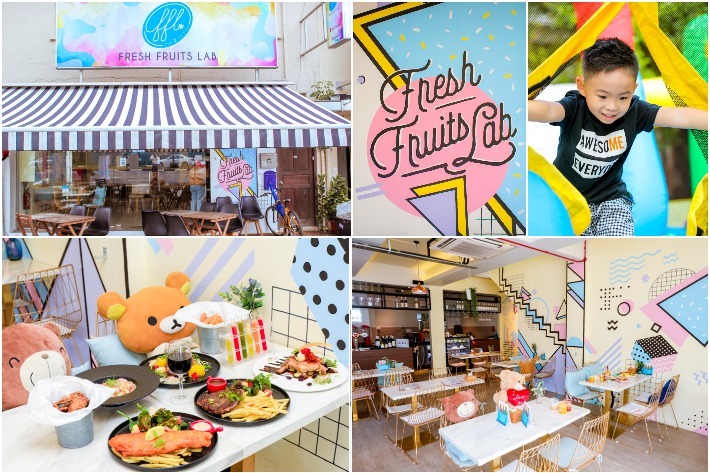 These places are located 5 minutes away from the MRT, so all you need to do is hop on the train, get off at Beauty World and then walk there! Offering a full-on menu of both Asian and Western fare, Colbar is one of the few gems in Singapore that we can safely say, has truly stood the test of time. Opened in 1953, the establishment formerly served as a canteen for the British army. It, therefore, gave rise to its name, Colbar, otherwise referred to as ‘Colonial Bar’. Granted that it’s a little out of the way, especially for those who do not drive, it is still a charming spot that’s worth the trip. It is a retreat from civilisation and it is also a great place to catch a glimpse of the old days. This rustic hideout is furnished with retro interiors like Formica tabletops and old photographs, which bring an air of nostalgia that sets you back in time. 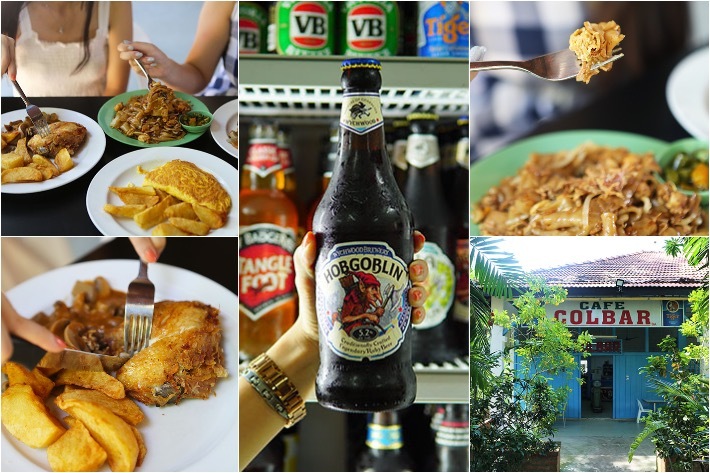 Whether you’re pining for a beer, some food or a place to chill, Colbar is one that’ll guarantee you a relaxed and tranquil experience. A place where discerning diners and lovers of good vibes gather, Two Chefs Bar is the ideal place to be should you find yourself in the mood for after-work drinks, casual gatherings and tasty food. Serving up a mixture of both Mexican and Italian grub, many might find the contrast odd but contrary to preliminary expectations, this isn’t one of those hipster joints where they try to mix and combine flavours together in hopes of producing unique. Instead, what diners can hope to expect from the restaurant’s menu is a myriad of Mexican and Italian dishes—more than 100 food items in fact—encompassing a wide spectrum of flavours and characteristics but remaining delicious nonetheless. Whether you’re pining for spicy, searing-hot fajitas served on a hot plate, a rustic Angus beef burger or something a little less assertive like pasta or pizza, you’re bound to find something you’ll love here at Two Chefs Bar. While their first outlet over at Quayside Isle may prove ideal for romantic dates and corporate events, their second outlet is better suited for office workers, fun get-togethers and those hankering for punchy cocktails, affordable comfort food and all-day happy hour deals—did we mention their Holland Village outlet boasts a massive selection of craft beers and ciders as well? Probably only known to those who stay in the west of Singapore, Pandan and Teban Gardens are two underrated neighbourhood districts in Jurong East. As secluded as these places may seem to the rest of Singapore, there are a couple of hidden gems in the area that are worth exploring. 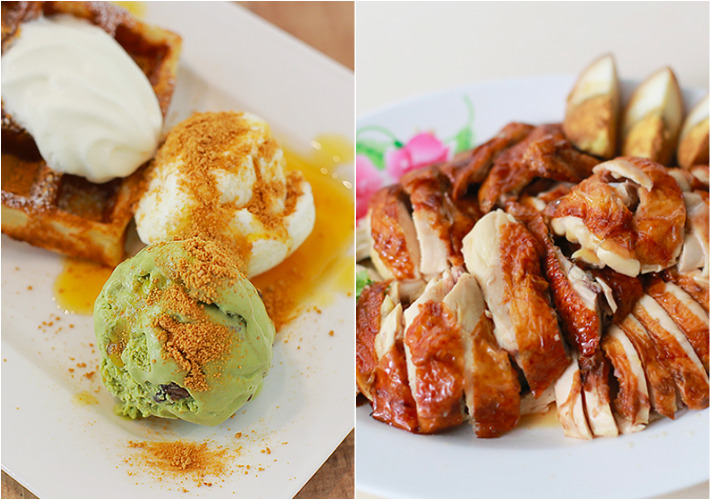 Ranging from humble eateries and hawker stalls to restaurants and even a cosy ice cream parlour, Pandan Gardens and Teban Gardens offer a decent selection of food choices for residents of Jurong East and those who are working near the area. There is nowhere as vibrant as Jurong East when it comes to the west side of Singapore. 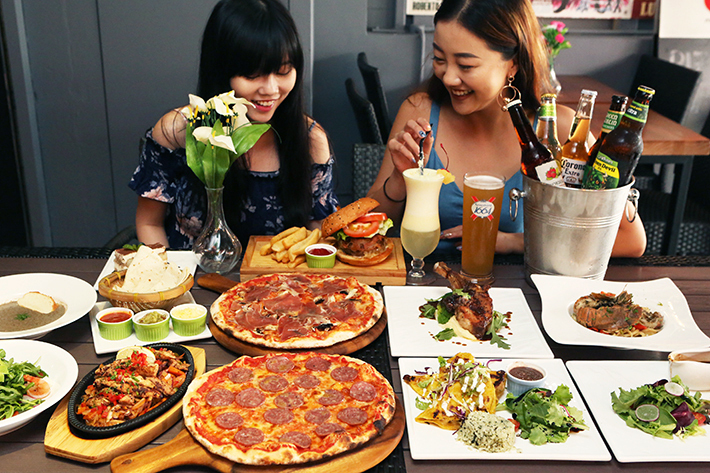 Home to a myriad of food choices and many different types of cuisines, Jurong East is where the residents of the west gather with their friends for a chill night or just to have family meals. With three shopping malls in the district and plenty of coffee shops and eateries in the area, the options are endless! Whether you are craving for a simple bowl of Thai wanton noodles to satisfy your hunger or something fancier to celebrate a special occasion, you are spoilt for choice.